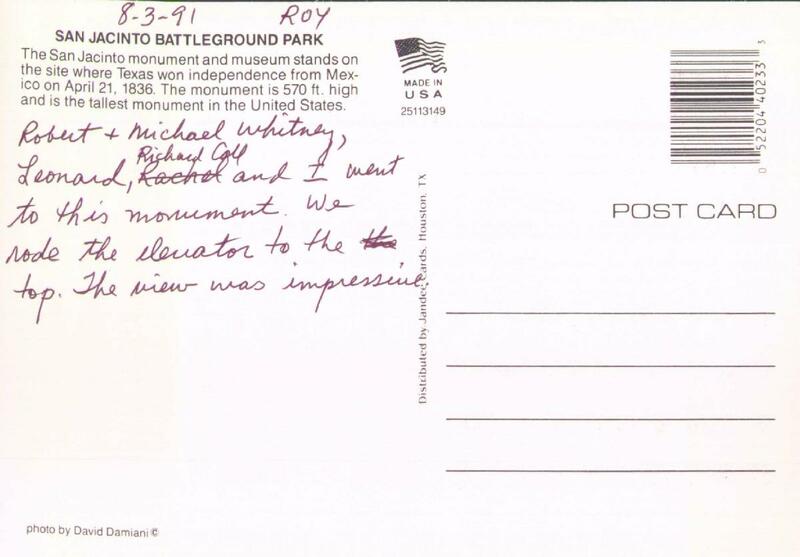 Robert & Michael Whitney, Leonard, Rachel Richard Call and I went to this monument. We rode the elevator to the the top. The view was impressive. 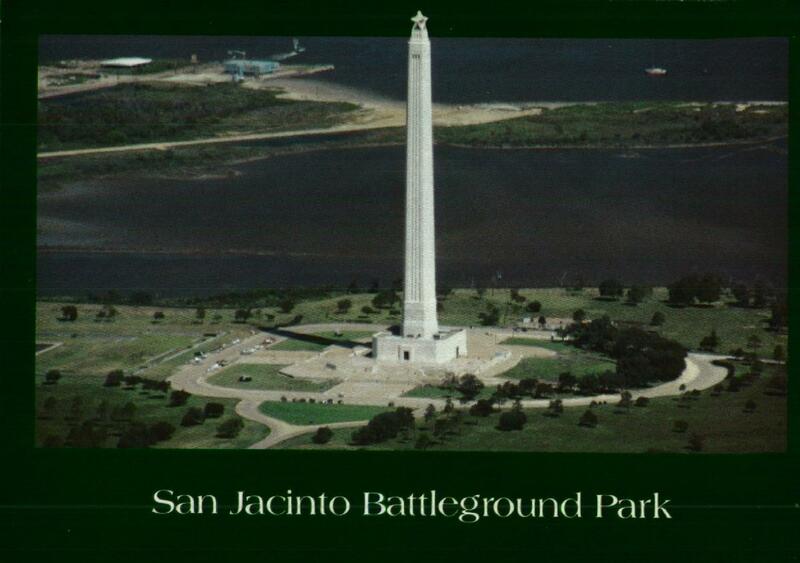 The San Jacinto monument and museum stands on the site where Texas won independence from Mexico on April 21, 1836. The monument is 570 ft. high and is the tallest monument in the United States. Wow, this is depressing--my dad's health problems are showing up in these late postcards. This document (source) is part of Crummy, the webspace of Leonard Richardson (contact information). It was last modified on Thursday, November 26 2015, 04:03:03 Nowhere Standard Time and last built on Wednesday, April 24 2019, 06:00:33 Nowhere Standard Time.